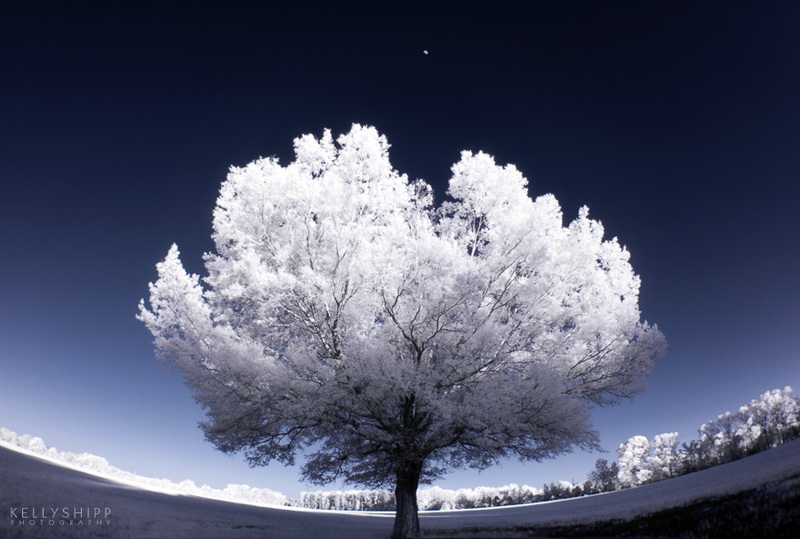 This photograph was 1 of 8 chosen by Ron Howard to inspire his short film, "When You Find Me", released in late 2011. The film is produced by Ron Howard and directed by his daughter, Bryce Dallas Howard. I'm currently accepting orders for this print in Limited Editions (depending on which medium you choose below). Each print is signed and numbered by Kelly Shipp. All materials are professional quality. Free-standing, Curved Metal Print - 7"x5"
- perfect for a desk or table! The print is infused directly onto curved aluminum. This size is an open edition. Note: this is for the curved metal print shown in the links above. - ready to hang. Framed size is 20"h x 25"w; actual print size is 13"x19". Each print is hand-printed by Kelly using professional paper and archival inks. It is matted on a white, archival mat (bottom-weighted); backing is acid-free foam core; glass is UV Acrylic; and frame is black aluminum. Each print is signed and numbered with a Certificate of Authenticity. Limited Edition of 300 in this size/medium. Shipping is not included in this purchase. Shipping will be billed after the product is shipped. - ready to hang. Print & framed size is 14"h x 20"w; This is printed using photographic imaging on aluminum. 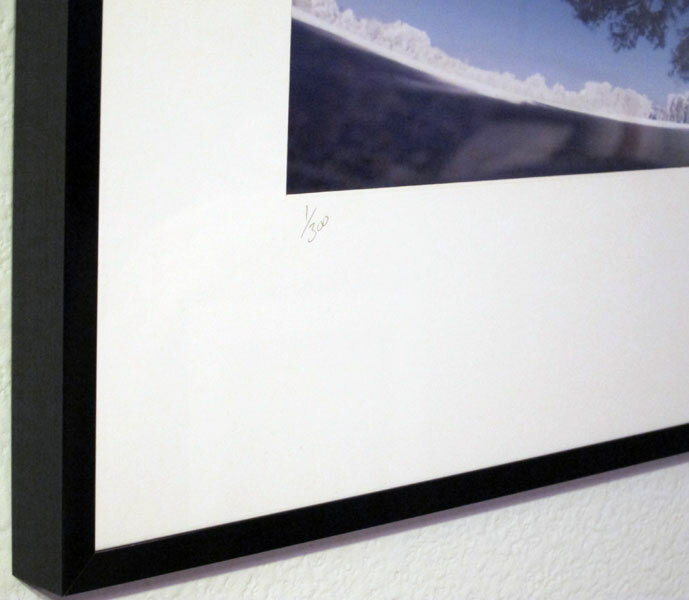 Unlike imaging processes that print on top of a coating applied to the paper, this process embeds the image into the coated finish of the aluminum. The detail and resolution are amazing. Each print is signed and numbered with a Certificate of Authenticity. Limited Edition of 100 in this size/medium. - ready to hang. Print & framed size is 20"h x 29"w; This is printed using photographic imaging on aluminum. Unlike imaging processes that print on top of a coating applied to the paper, this process embeds the image into the coated finish of the aluminum. The detail and resolution are amazing. Each print is signed and numbered with a Certificate of Authenticity. Custom sizes available on request. Also gallery-wrapped canvas prints are available upon request. Note: Delivery times can vary from 3-6 weeks, and possibly longer if around the holidays. To place your order, click your choice of Buy Now button above, If you have any questions, please feel free to contact me via this form or use the e-mail address at the top of this page. Thanks! Ron Howard Discusses Kelly Shipp's Winning Photo from Kelly Shipp on Vimeo. When You Find Me tells the story of two sisters who find their carefree lives on a farm shattered by the sudden loss of their mother. Alternating between past and present, it's an emotional fable of two people coping with tragedy in very different ways, and what it takes to find peace and reconciliation within yourself and the ones you love.